It’s two days later, and we’re still coming down from the high of winning the Lone Star Vegetarian Chili Cook-Off, or maybe it’s the pre-chili cook-off breakfast of coffee and multiple donuts that is finally wearing off – either way, we’re super excited to tell you that WE ARE THE CHAMPIONS! 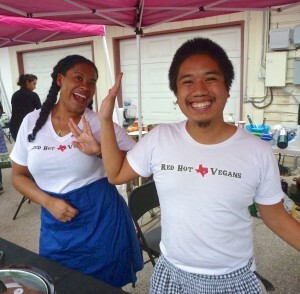 The Red Hot Vegans rockin’ chili team was so lucky to have our awesome team leader Cassandra led us to not one, but two victories! Trophy number one is for our stellar booth design. 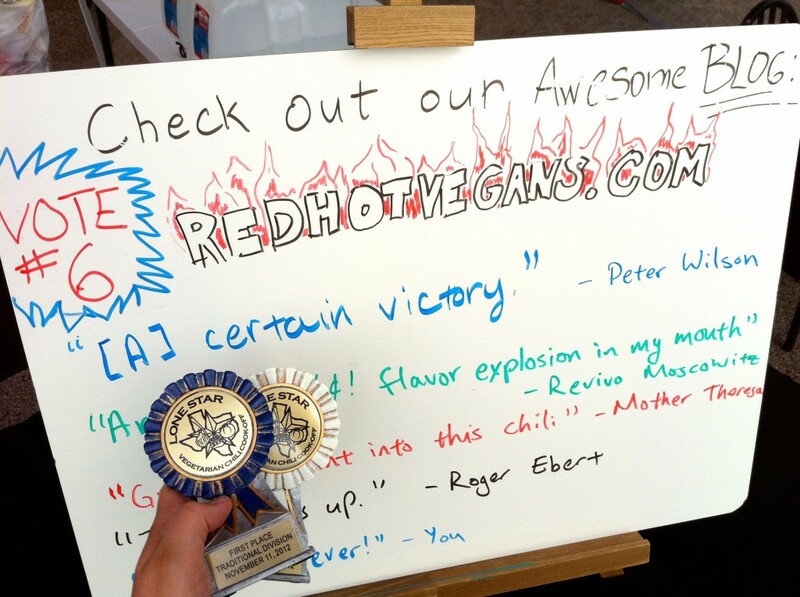 We eked out a win over Vegeria, with our board full of totally legit praise for our awesome chili. (We had Mother Teresa and Roger Ebert in our corner – how could we lose?) The second glorious trophy is for the best traditional style chili, which was chosen in a blind tasting by some really rad judges. We knew our chili was pretty darn great, but we were honestly surprised that we won an award we didn’t have to bribe people for. We thought we were much more likely to win the people’s choice, as we were sneaking people free beer, and winning over the crowd with our awesome dance moves. 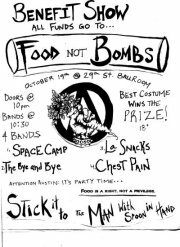 Clearly the Austin Food Blogger Alliance (which we happen to be members of), had better bribe tactics, as they swept up the people’s choice award and the best all-veg chili award. 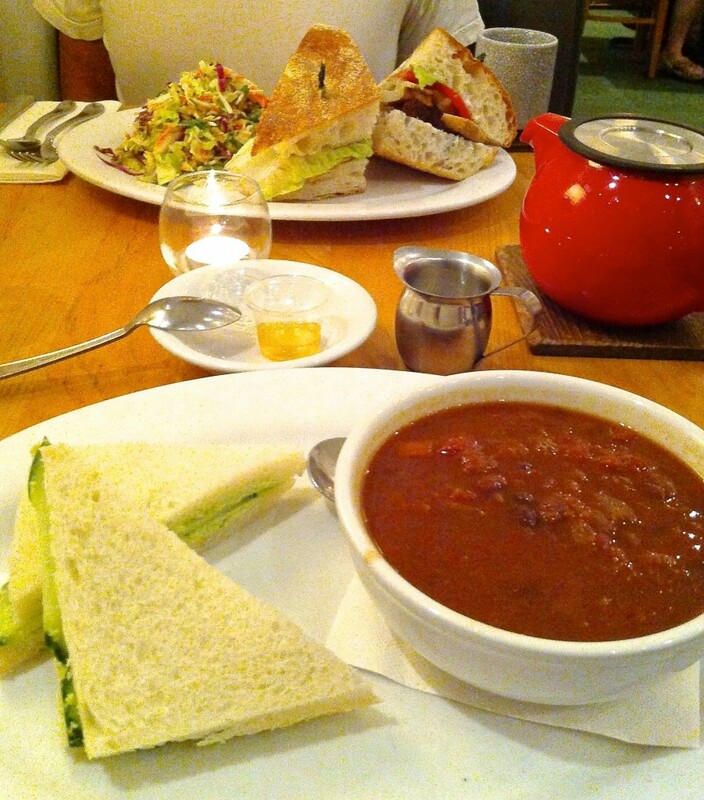 In summary, bloggers are the best chili makers. That’s a fact. 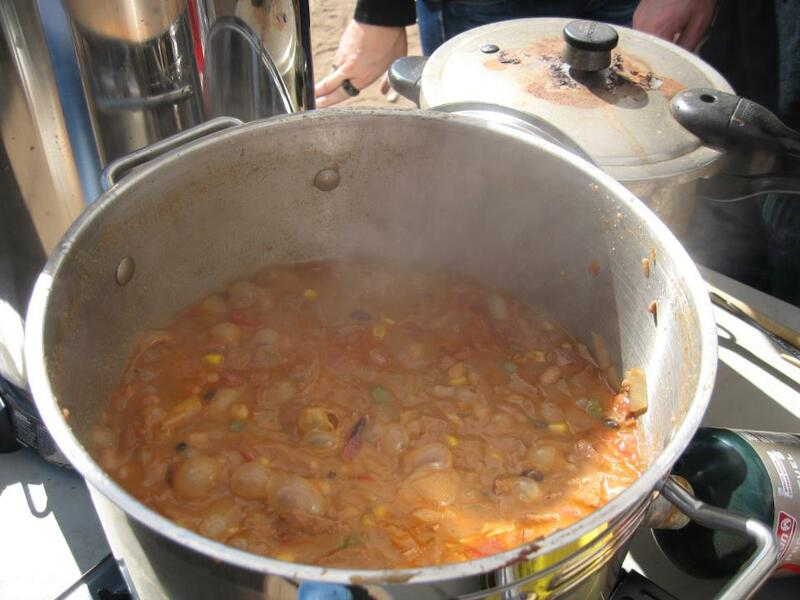 For more pictures of our not-so-humble conquest, check out our chili cook-off gallery.